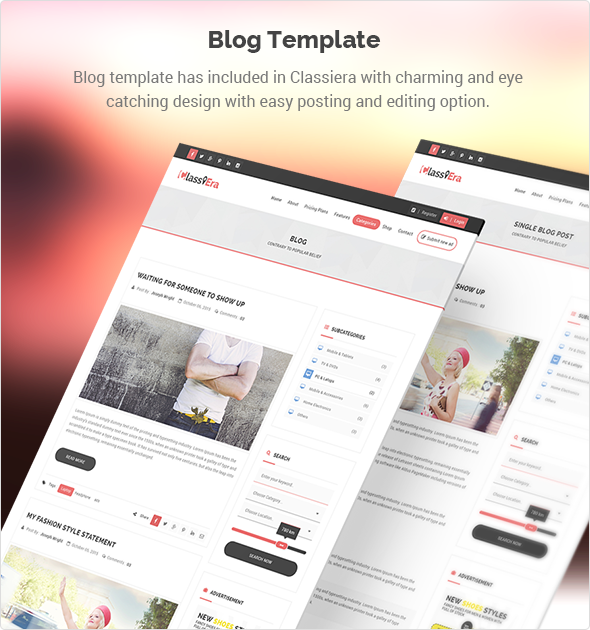 Classiera Classified Ads WordPress theme is one of the most popular and the latest Premium Classified WordPress theme. 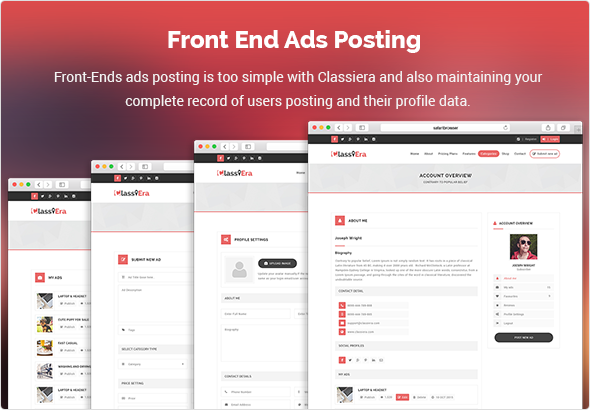 Classiera makes use of a Redux framework with flexible user Penal. 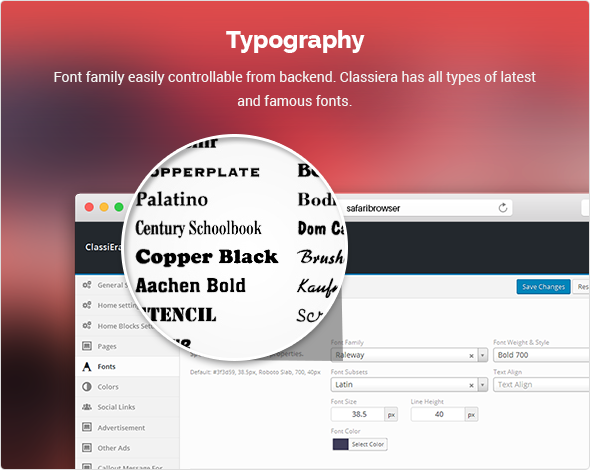 Classiera offers more than 6 unique homepage designs. 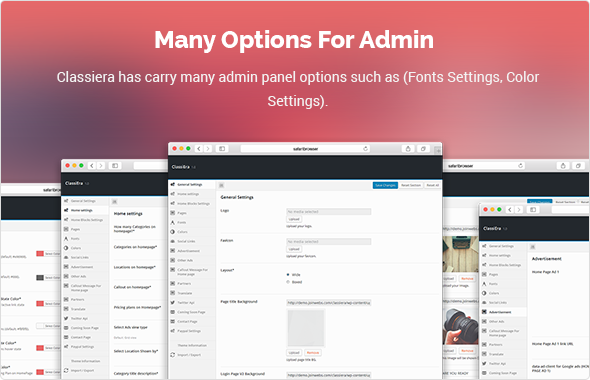 Classiera provides an exclusive front-end user panel. 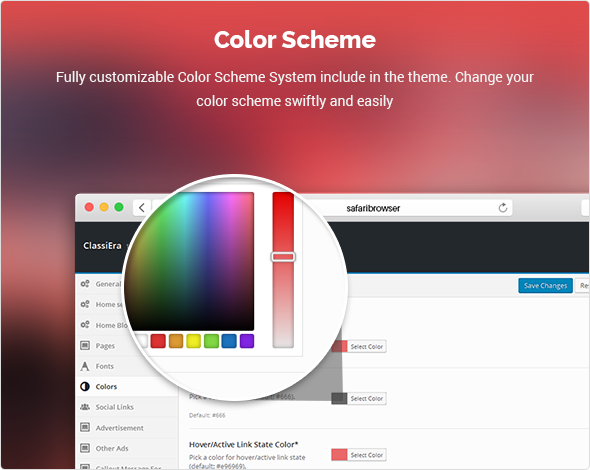 You can also get unlimited colors options with this theme. 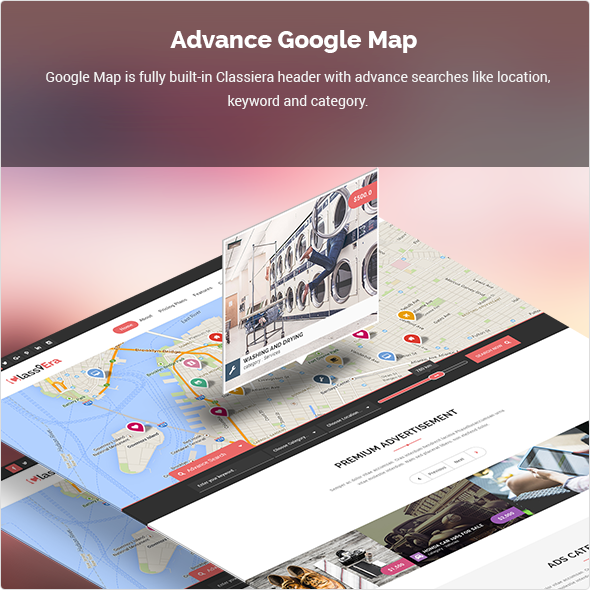 Google map is also integrated in this classified WordPress theme. 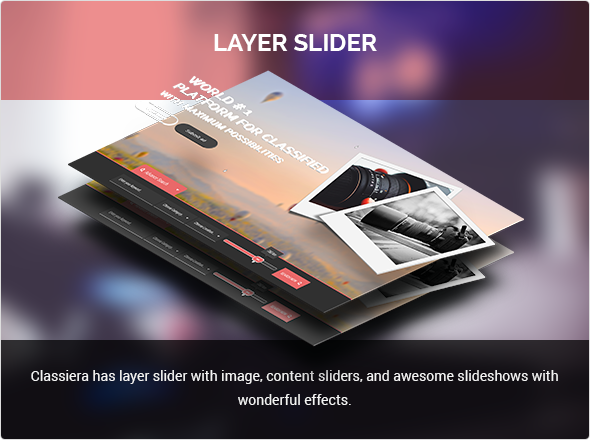 You can get exceptional page layouts with Classiera. 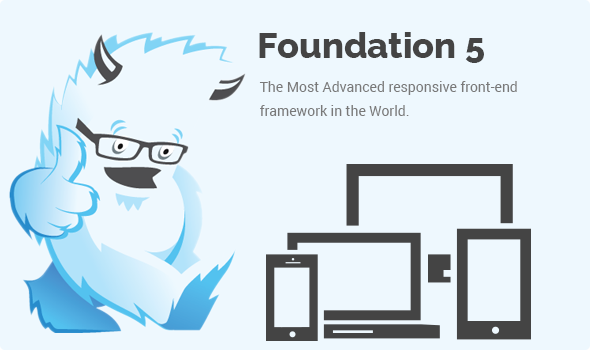 In this template I make sure that level of typography, usability and overall user-experience is according to modern Era .We also use Font-Awesome icons and free Google fonts. 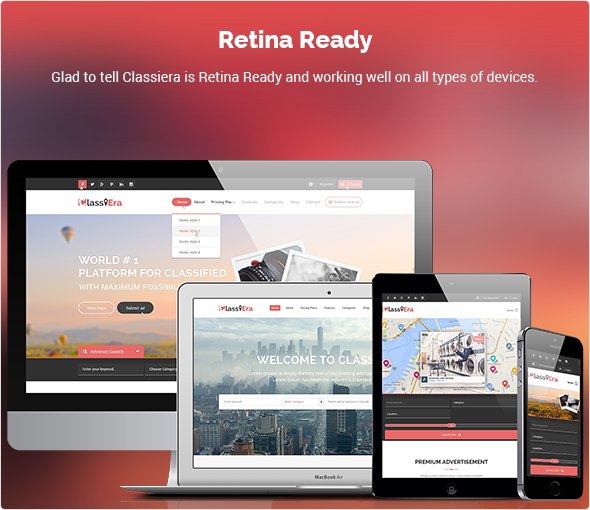 Classiera facilitates ease of use and optimal viewing experience. Do not miss out on this theme if you truly want your website to stand out. It’s very quick to setup and easy to customize. - Fetured Ads by Category Improved. - Turn On/OFF Map from Contact Page. - Top Social Button Hide if Empty. 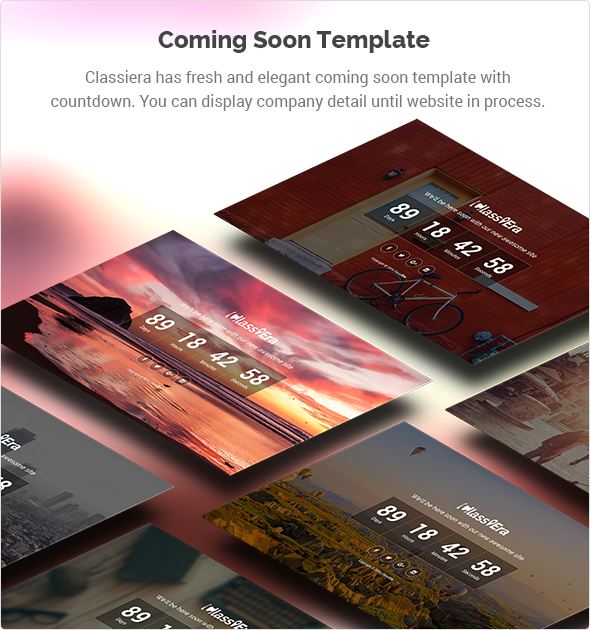 - HomePage template with Sidebar added. - Email to Admin for Pending Post (Improved). - Featured Ads by category (Added). 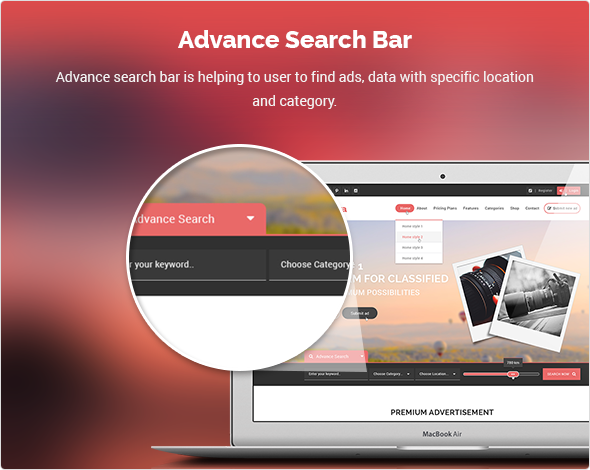 - Move All Premium Ads setting to Premium Ads Section. - Map on Category Page Added. 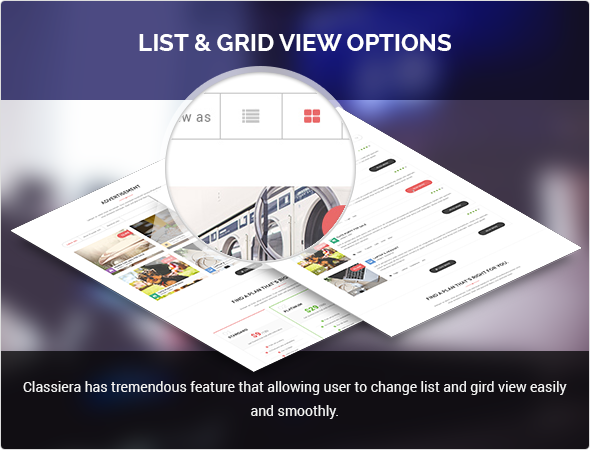 - Premium Section with Grid Added.